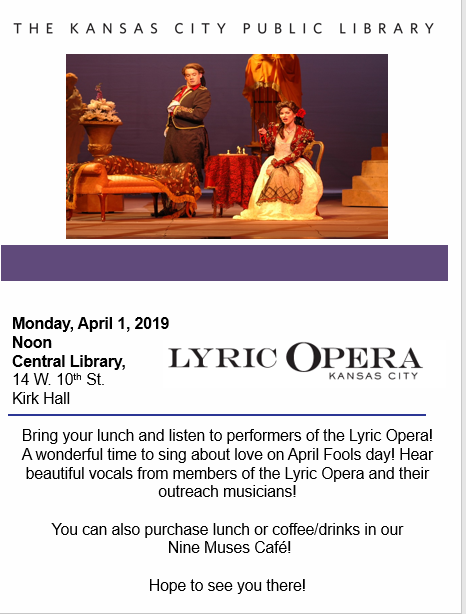 Our Monday Music series continues on April 1st with a performance by Lyric Opera performers. What a wonderful day (April Fool's Day) to sing about love and life! Join us by "brown bagging" your lunch, or purchase something from our Nine Muses' Cafe!